A revolution in the field of dentistry which enables the dentist to execute dental treatments with more accuracy under magnification. 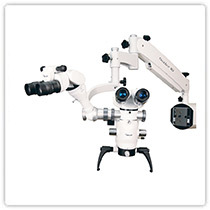 Gum treatments and root canal are performed under the microscope to increase precision. 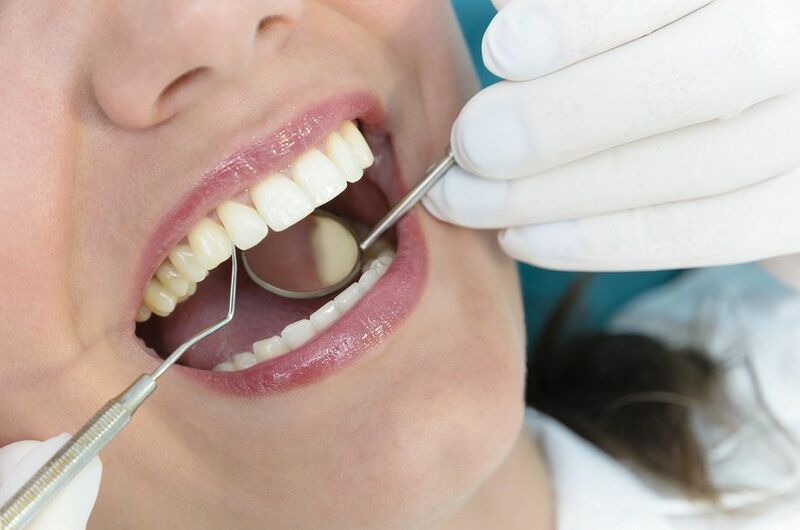 If you want fast results with a minimum of pain, swelling, and post-operative problems, this new branch of dentistry may be for you. 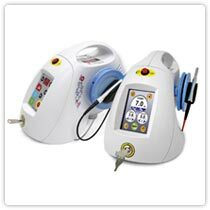 Laser dentistry offers a long-lasting and highly effective alternative to painful and noisy drilling procedures. Lasers can now be used to perform a variety of functions, including bleaching, cavity removal, restoration, and periodontal surgery. These lasers work with other agents to achieve results. Lasers can also remove plaque and dental decay from a cavity-affected tooth, preparing it for a filling. A laser beam can also help harden bonding material. Finally, it can help in periodontal (gum-related) problems. 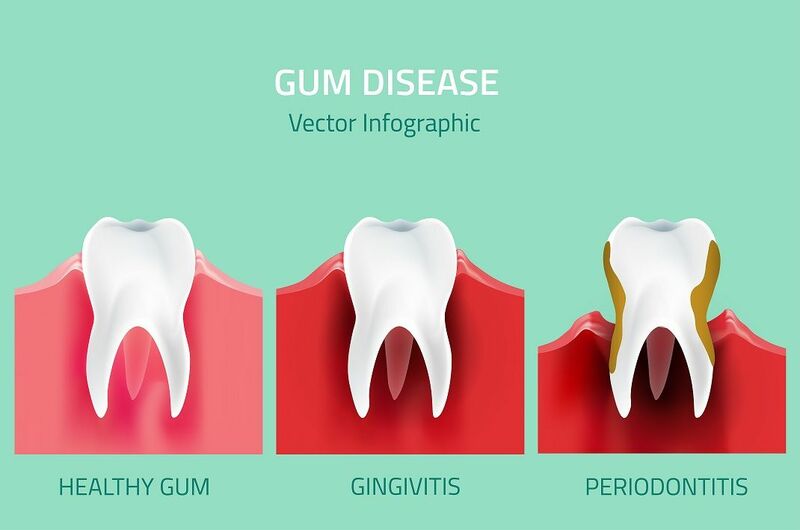 Lasers can be used to reshape gums, remove excess or affected gum tissue in gum disease sufferers, and remove bacteria from pockets created between diseased gums and teeth. The single most determinant of quality and healthcare in dentistry. 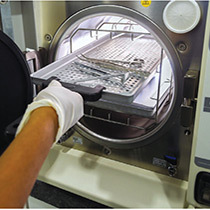 All Apollo WHITE dental centers are equipped with stringent protocol for sterilization with Class-B Sterilizers, fumigators, pouch packing facilities with colour indicators that indicate sterilization, ultrasonic cleaners, enzymatic and non-enzymatic solutions. 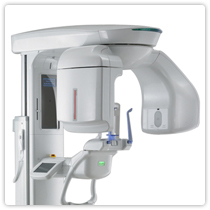 Radiography plays an important role in implant dentistry for imaging and treatment planning. Recently Cone Beam Computed Tomography has been used in dental implant treatment. With any type of imaging, a patient should be exposed to the least amount of ionization radiation that is needed to produce images of acceptable diagnostic quality. Two-dimensional radiographs do not provide information on the bone thickness or the location of vital structures. The radiographic examination of any potential implant site should include cross-sectional imaging orthogonal to the site of interest. The goal of selection criteria in implant radiography is to identify the most appropriate imaging technology for each stage of patient care. Cone Beam Computed Tomography (CBCT), and computed tomography (CT). The main advantage of these images for implant dentistry is that they minimize or eliminate anatomic superimposition. Cross-sectional images provide optimal accuracy for visualizing the bony architecture of the jaws. 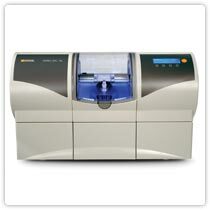 At APOLLO WHITE DENTAL CENTRES & SPA, we use Digital X-ray technology, which is based on electronic sensors and computers. One of the principal advantages compared to film-based systems is the much greater exposure latitude. This means many fewer repeated scans, which reduces costs and also reduces patient exposure to radiation. Lost X-rays can also be reprinted if the digital file is saved. 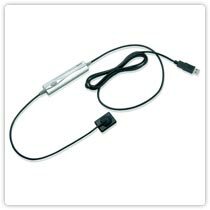 Other significant advantages include instantly viewable images, the ability to enhance images, the ability to email images to practitioners and clients (without needing to digitize them first), easy and reliable document handling, and most of all reduced X-ray exposure to the patient !! 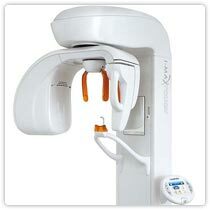 Digital Radiovisiography is the latest X-ray technology in dentistry. Digital radiovisograph is equipped with special image analysis software, and in digital technology, it is possible to enlarge the images and their saving in the patient’s file. Some of the advantages of the digital radiovisiography: reduced radiation of the patient compared with conventional X-ray, up to 80% faster imaging technique, makes use of intraoral sensor, does not involve intra oral films or conventional dark room developing techniques. RVG produces high-quality digital image on the computer screen immediately and the file is saved on the patient’s name. CAD/CAM dentistry is an area of dentistry utilizing CAD/CAM technologies to produce different types of dental restorations, including crowns, crown lays, veneers, inlays and on lays, fixed bridges, dental implant restorations, and orthodontic appliances. 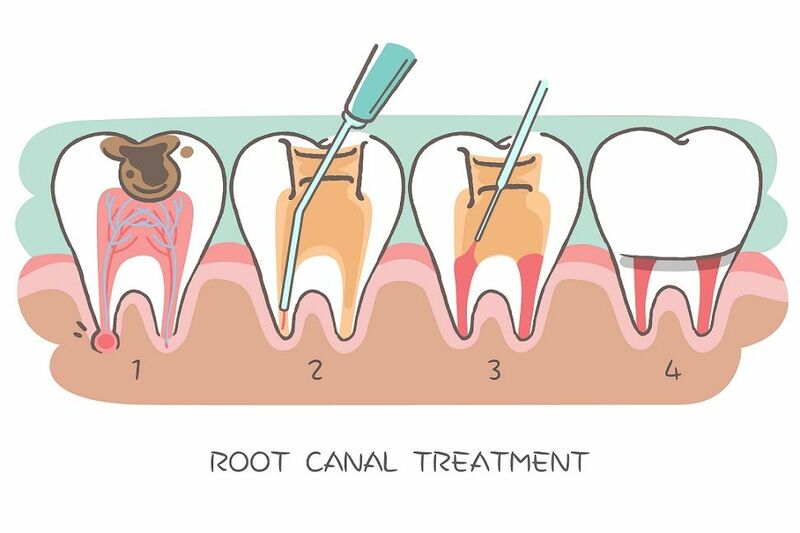 Conventional method involves a period of 3 to 5 days, whereas CAD/CAM can deliver instant crowns.